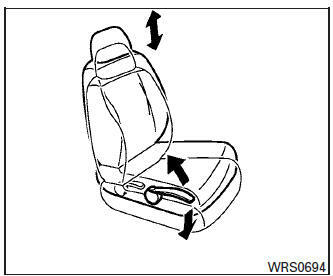 The reclining feature allows adjustment of the seatback for occupants of different sizes for added comfort and to help obtain proper seat belt fit. 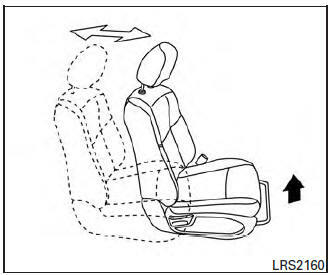 For additional information, refer to “Precautions on seat belt usage” in this section. 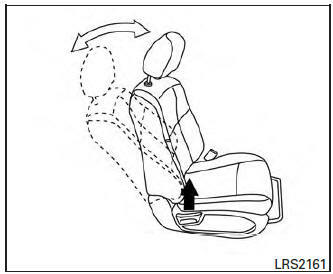 Also, the seatback can be reclined to allow occupants to rest when the vehicle is stopped and the shift lever is in the P (Park) position.